Fabric, Patterns, and Costumes, oh my! 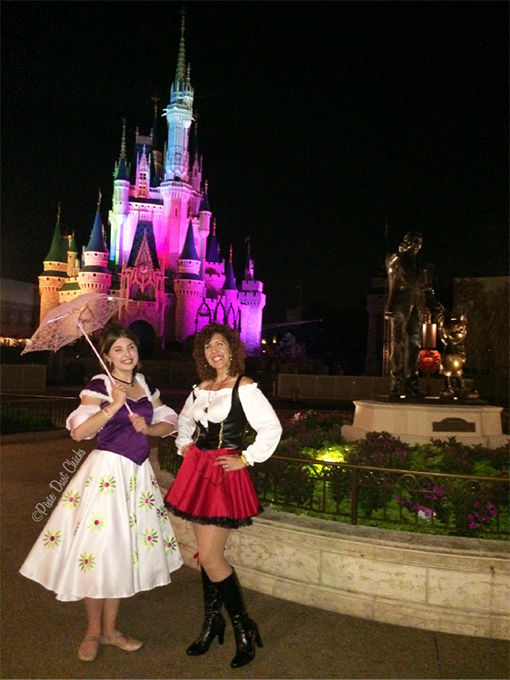 Last month was a whirlwind of sewing activity as we cut patterns, pinned and stitched our way around 4 costumes for our visit to Mickey’s Not So Scary Halloween Party (MNSSHP) at the Magic Kingdom in Walt Disney World. It was our biggest sewing project to date since we jammed in so much in a short amount of time, but we think the outcome was fabulous! 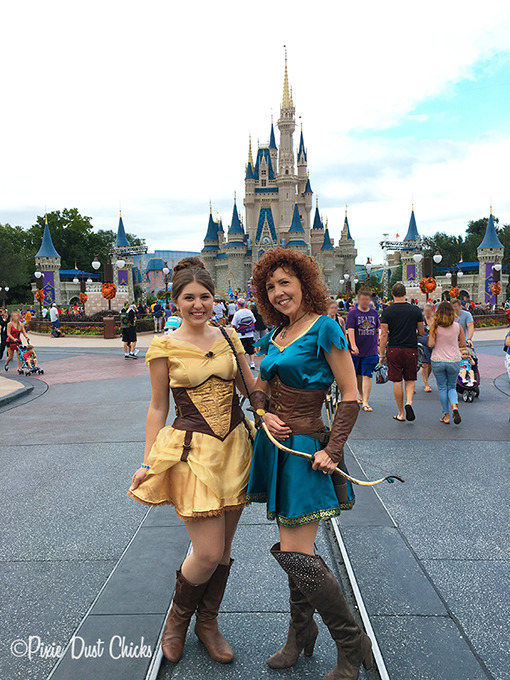 And since we love learning costuming tips from other cosplayers, we thought we’d share what worked for us. All fabric, notions, and trim came from JoAnn’s or Hobby Lobby. To keep costs low, we used coupons and looked for sales on everything. One of the best things to do is wait until JoAnn’s has a sale on patterns when they’re only $1-$2 each. What a deal! Also, be sure to sign up for JoAnn’s coupons online. You’ll get email that you can use right from your phone. And be sure to use the JoAnn’s app for more coupons. Happy sewing!! « Epcot’s Food & Wine Festival! So cute! You gals did a great job!